It doesn’t matter whether you’ve shipped 20+ AAA titles, or you’ve been working on your awesome indie game in your spare time, if you think you’ve got what it takes, we would love to talk. We know that there are supremely talented people out there at all experience levels, and offer a number of paths towards a career at Gearbox Software. There are currently no positions available. Please check back in the future. Can’t find a position that you think fits you, but are still interested in applying? Click the button below! This will allow us to learn who you are and what you can bring to Gearbox. This could lead to us wanting to talk to you immediately or us keeping your contact in case we have any opportunities later that fit what you’d like to do. Need more incentive to work with us? Since 2010, over $50 million in bonuses has been paid out above and beyond salary, directly to the talented people who make it all happen. Have your eye on that new tablet or sweet 12-button mouse? Get it! Itching to get back to the gym or take that animation class? Do it! We provide an annual “Level-Up” cash reimbursement bonus for team members to use towards self-improvement including education, technology and hardware, gym memberships, and all kinds of other stuff. 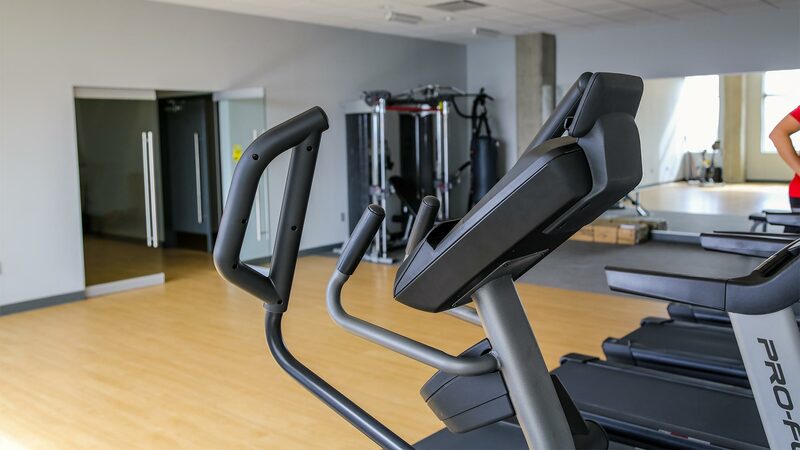 Fully stocked kitchens with free food and drinks, regularly catered meals, and a constantly updated robust video game library…what more could you ask for? We make sure that work-life balance is a priority. To that end we offer over one full calendar month per year in officially recognized paid holidays and personal vacation time. We’ve got Industry leading Health, Dental, and Life Insurance options available to you and your family. We also offer some of the best retirement options in the industry. Our 401k includes company matched contributions, dollar-for-dollar, up to 4% of an employee’s gross salary. We all work hard to make the best games possible, but some times we need to take a break and throw an amazing party to celebrate! Take advantage of our legendary launch parties, holiday parties, and annual events. 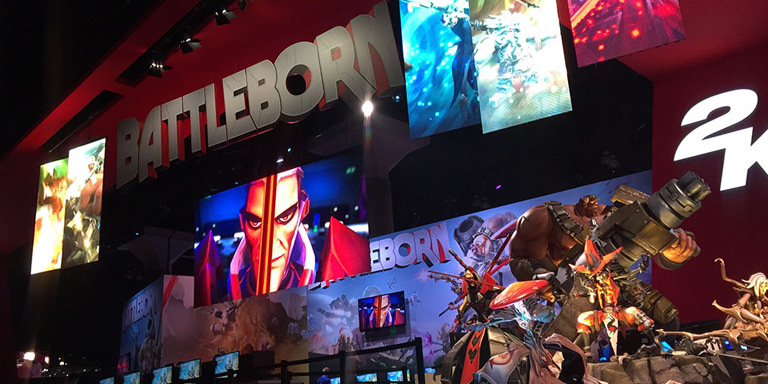 Gearbox Software – Now Welcoming Our Northern Neighbors!  We are thrilled to announce the opening of Gearbox Studio Québec! We currently have a number of positions open for the best and brightest at our newest location in Québec City. For more information, to see which positions are available, and to apply, please visit the Gearbox Studio Québec page. 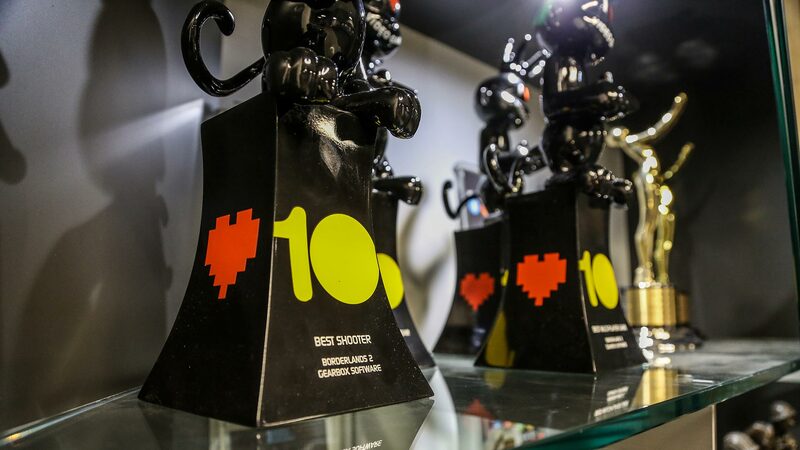 We get asked a lot of questions about how to break into the games industry. Here’s a few of the more frequently asked questions as well a few things to consider when applying to Gearbox Software. How do I get a job at Gearbox? It can start right here! You can use the jobs page to apply for a position and let us know who you are and what you think you can do to help develop games at Gearbox. What if I’m interested in multiple positions at Gearbox or the position I’m most interested in isn’t posted? Do you see several job postings that you might be interested in or skilled at? Apply for all of the jobs you might qualify for. And don’t be shy — tell us what you really enjoy doing or which job listing you think would be the most interesting to you. If you are interested in working for Gearbox but do not see a specific job that fits with your skill set please apply for the “Team Member” position. This will allow us to learn who you are and what you can bring to Gearbox. This could lead to us wanting to talk to you immediately or us keeping your contact in case we have any opportunities later that fit what you’d like to do. I’ve started the process and Gearbox sent me a test. Have any tips? Yes, take it seriously! If you’ve received a test it’s because the developers inside Gearbox want to learn more about you and how you might work on problems. The test can be a discussion topic for a later interview. Have fun with it and show your creativity and passion for game making throughout the test itself. I’ve been invited to come interview, how should I dress? Gearbox is super casual and we want you to embrace the culture with us. So don’t feel obligated to overdress just because this is an interview. Be yourself! How important is a portfolio to my candidacy process? A portfolio can be a great way to showcase your work. If you have the time and can cherry pick your best elements, you’ll make it convenient for the talent at Gearbox who will review your candidacy to see what you’re capable of. A portfolio is not required if you have other ways to show off your capabilities. Some roles are such that a portfolio makes a lot more sense than other roles where a portfolio makes little sense at all. If you’re a professional, reference your work in commercial video games and make it easy for us to see your work in those games. If you’re a student or amateur, show off your student projects or amateur or mod work to us. The key value of a portfolio is that you are in control of what you’re showing us from it. You can make sure to use the portfolio to show us the very best of what you’re capable of and also what you enjoy working on the most. First you will apply to a position through our website then a recruiter and the hiring team will review your resume/portfolio. If you seem to be a good fit for the positon we may contact you to get some more information, ask you to complete a test, or have you send us some additional work samples. After we have all of the information we need we may schedule a phone interview and if that goes well you would be scheduled for an onsite interview. Typically the recruiter can follow up with you within a few days to let you know if you have been chosen for the position. How long does the candidacy process take? We are very thorough in our process here at Gearbox so the length of time can vary. We want to make sure that not only are you a good fit for Gearbox but that you believe Gearbox is a good fit for you. We want to test your skills but then we want you to come see our studio space, visit with our team, and ask any questions that you might have. So the process may take some time but it’s definitely worth it! If I get an offer, can we negotiate? Of course we can negotiate. We try to make the best offer possible up front but if you have any questions or concerns please let us know. We’ll be happy to discuss this with you and assist in any way we can. Is there flexibility in start date? Absolutely! We understand that people have other things going on in life, may have to leave a notice for a current employer, or may need time to move to the Dallas area. We are super flexible. Tell me more about compensation? Gearbox has a very unique compensation structure. As a developer you will receive profit shares and royalties in addition to your base pay. Forty percent of profits generated from the sale of Gearbox games are shared with our employees! Tell me more about the studio? The Gearbox studio is located in Frisco, TX just north of Dallas. 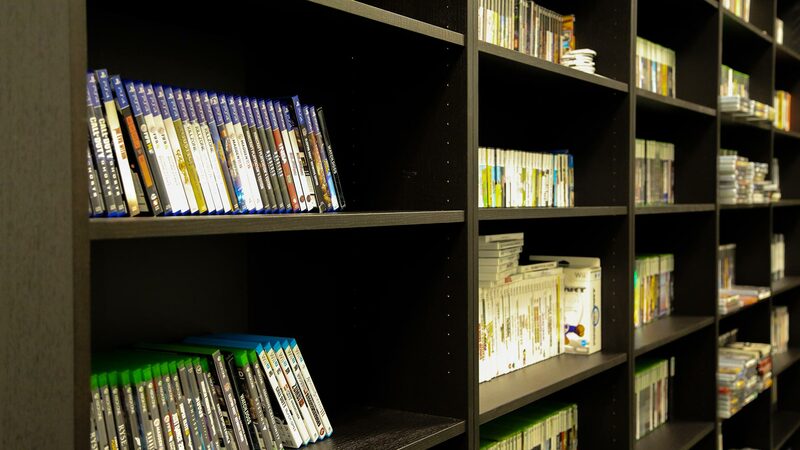 We have a brand new studio that we built to enable folks to build the best games possible. With specialized space dedicated to recording, motion capture, and playtesting, we can do nearly anything you can think up right in the building. Yes, we call that the COGS program here at Gearbox. What is the COGS program? COGS stands for Contractors Of Gearbox Software. 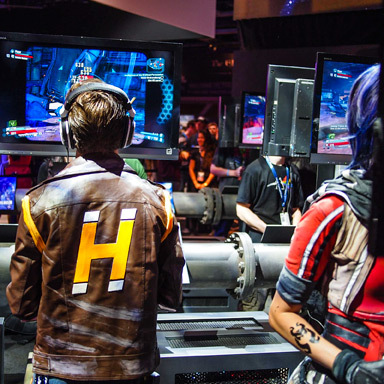 It’s an exciting opportunity for those of you that don’t have any professional experience but do have a passion for making games to work at Gearbox on a contract basis. Work for a AAA studio, learn from the best, and show us your drive, grit, and talent. 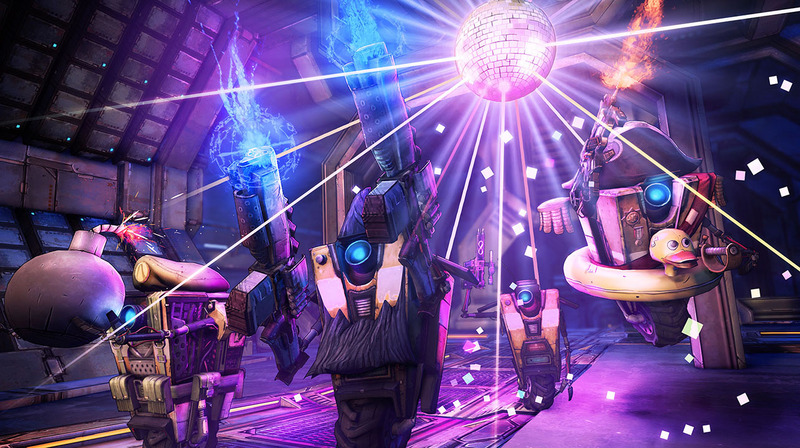 If we like what you have to offer then we may offer you a full-time position at Gearbox! Even if you are not offered a full-time position you walk away with some great experience on your resume. 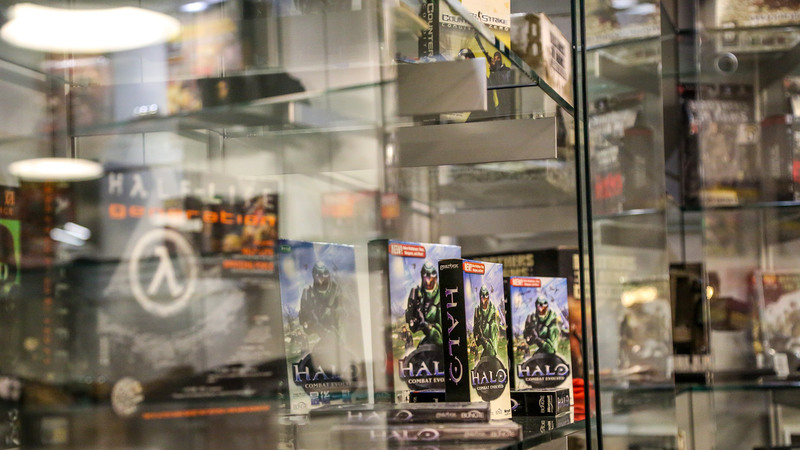 You may want to consider one of the many schools that now offer degrees in gaming. Here are a few of the local schools where we have found great talent: SMU Guildhall, University of Texas Dallas, Art Institute of Dallas. Networking through Conferences/seminars, IGDA, LinkedIn, Forums, etc. In September 2009, Forbes Magazine designated the Dallas-Fort Worth area as the top place to earn a living in the United States. Dallas has a financial advantage for residents with its low cost of living (one of the lowest in the United States) and the state of Texas is one of the few states in the US that does not charge a state income tax. 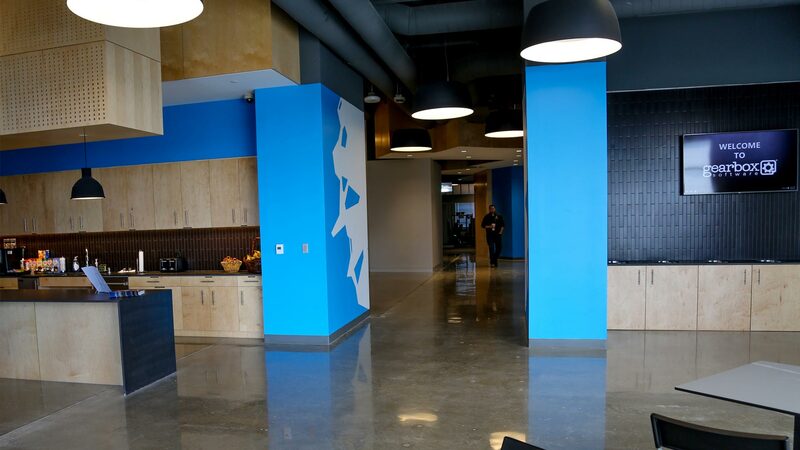 Gearbox Software is located in Frisco, TX just a short drive north of Dallas. Frisco offers an abundance of fun for kids of all ages in a safe, affordable and unique setting. Whether you enjoy our incredible shopping & dining, are a huge sports fan, or if arts and culture is your passion, Frisco has plenty to offer. For a day of pampering and relaxation, try one of our sixteen day spas. For a quick view of all there is to see and do in Frisco, visit our online brochure. Frisco is a great place to stay, wth a host of award winning hotels, from upscale to featured service, awaiting you. Enjoy minor league baseball, professional soccer and arena football, and amateur hockey all within a short distance from your hotel. If you’re searching for the kind of shopping that brings excitement, warms your heart, and gets the job done, all while being fun, visit the Stonebriar Centre in Frisco! Packed with specialty shops, great restaurants, movie theaters, an ice skating rink and much more, Frisco has one of the premiere shopping malls in the Southwest, all surrounded by even more shopping. A quick drive around Frisco and you suddenly realize you are surrounded by bronze cattle drives depicting the Shawnee Trail, artwork from around the world in Hall Office Park, and a one-of-a-kind Texas Sculpture Garden. Entertainment abounds in the Dallas area! Home to 4 major sports teams including the Dallas Cowboys (NFL), Dallas Stars (NHL), Dallas Mavericks (NBA), and Texas Rangers (MLB), sports fans will never have trouble finding a great game. Food and nightlife are plentiful, with enough dining and social hotspots to suit any taste in Lower Greenville, the West End, Deep Ellum, Uptown, Addison, and the West Village. Concerts and shows hardly ever pass Dallas by and are hosted in numerous venues like the American Airlines Center, Cowboys Stadium, Nokia Theatre, and The House of Blues. Dallas is also home to a large, thriving arts district – visit the Dallas Museum of Art, the Nasher Sculpture Center, and the AT&T Performing Arts Center for proof! Don’t forget the Dallas Zoo and the State Fair of Texas – Dallas has tons of great family-friendly activities! We really think that there’s something for everyone in Frisco and the surrounding areas. Whether you like to check out a basketball game during the week and the Renaissance Fair on the weekend, rage hard in the clubs, or be all-sorts of artsy and check out the museums and galleries, we’ve got you covered on all fronts. Far from a definitive list, here are a few of the places that Gearboxers have been known to frequent while not busy making awesome games.